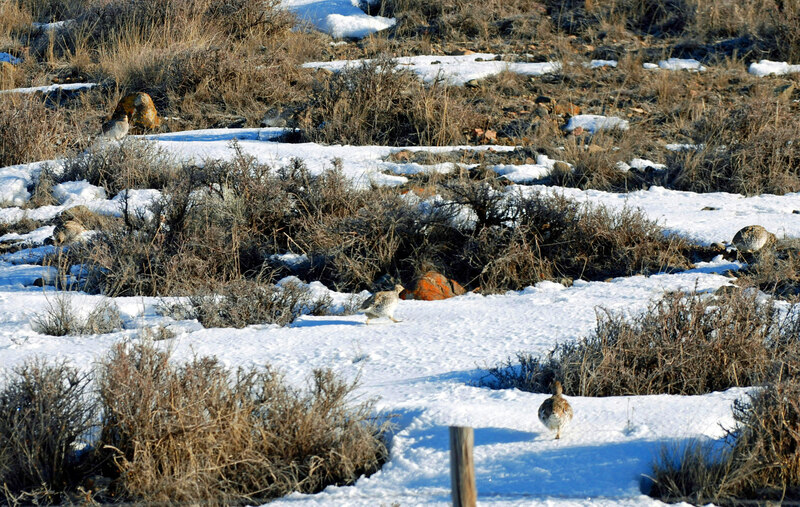 One of the earliest signs of spring is the baring of ground on the south facing slopes and the appearance of Sharp-tailed grouse, also known as Tympanuchus phasianellus. I will stick with Sharp-tailed for ease of writing. While looking out the windows at the back of our house this past week, we were able to see the grouse on the hillside. Because of how well they blend into their surroundings, the number we first spotted was around 4 and then it increased until we hit 11 or so. This is still pre-mating season and so their activity was foraging for food rather than strutting and dancing, characteristics of the mating ritual. Sharp tails consume a variety of forbs, grasses, flowers, fruits, seeds, buds, and insects. We seem to have no shortage of Sharp-tailed grouse in our area but some articles say they are threatened. 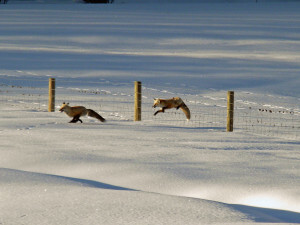 Perhaps this is true elsewhere but there is still a hunting season on them here. We enjoy seeing them later in March and April when they begin the mating season. At this time they gather on what is called a lek, usually an open area where there is a good view of the surroundings. 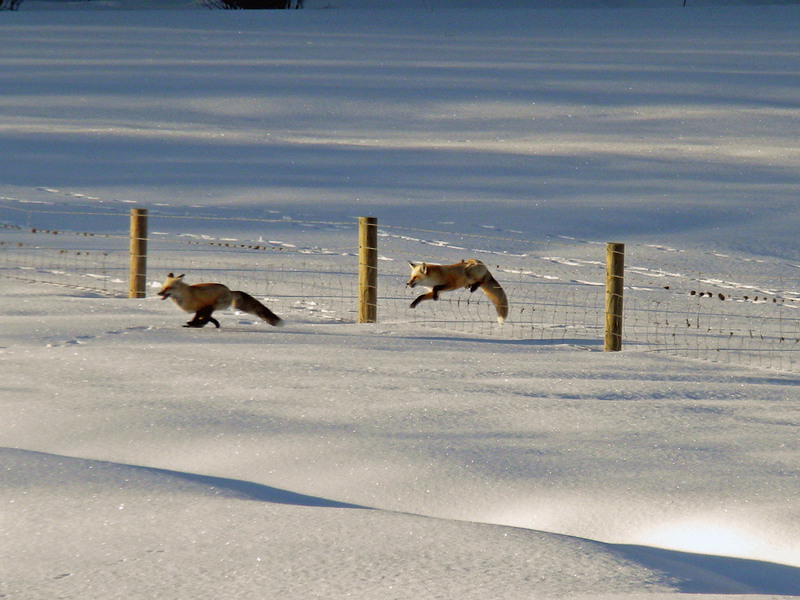 They are preyed upon by just about every carnivorous animal or bird in the area, including the red fox and coyotes. The males dance and strut, there are clucking and gobbling noises too. It is really fun to watch and perhaps I will try and video it this year. If successful, I will post again.